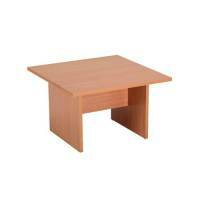 Jemini Square Coffee Table Beech KF74128 Pack of 1 Ideal as a coffee or reception table. Sturdy 18mm top. Ideal entry level solution. Finish: beech. W580 x D580 x H340mm. 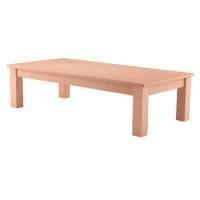 Jemini Rectangular Coffee Table Beech KF74129 Pack of 1 Ideal as a coffee or reception table. Sturdy 18mm top. Ideal entry level solution. Finish: beech. Jemini Rectangular Meeting Room Table Standard Leg Beech KF838573 Pack of 1 Comes in a high quality beech finish. Tubular chrome legs add a stylish finish. 25mm thick table top ideal for writing or computer use. Comes in a flat packed format with easy assembly. Dimensions: W1360 x D680 x H735mm. Non returnable. Jemini Semi-Circular Meeting Room Table Standard Leg Beech KF838575 Pack of 1 Comes in a high quality beech finish. Tubular chrome legs add a stylish finish. 25mm thick table top ideal for writing or computer use. Comes in a flat packed format with easy assembly. Dimensions: W1360 x D680 x H735mm. Non returnable. 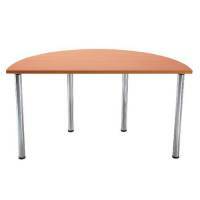 Jemini Rectangular Meeting Room Table Folding Leg Beech KF838576 Pack of 1 Comes in a high quality beech finish. Folding leg design. 25mm thick tabletop ideal for writing or computer use. Comes in a flat packed format with easy assembly. Dimensions: W1360 x D680 x H735mm. Non returnable. 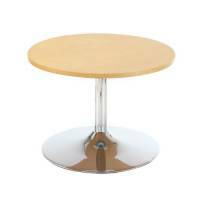 Jemini Beech Semi-Circular Meeting Room Table Folding Leg KF838578 Pack of 1 Comes in a high quality beech finish. Folding leg design. 25mm thick tabletop ideal for writing or computer use. Comes in a flat packed format with easy assembly. Dimensions: W1360 x D680 x H735mm. Non returnable. 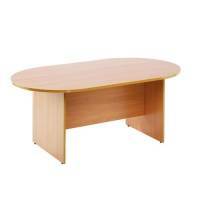 Arista Beech Rectangular Reception Table 1100x600mm KF03326 Pack of 1 Arista Rectangular Beech Table ideal for use in reception areas. Dimensions - W1100 x D600 x H320mm. Non returnable. 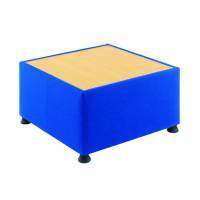 Arista Blue Modular Reception Coffee Table KF03491 Pack of 1 Arista Reception Table to complement the Arista Modular Reception Seating. Dimensions: W650 x D650 x H365mm. Colour - Blue. Non returnable. Arista Beech 600mm Square Reception Table KF03323 Pack of 1 Arista Wooden Framed Reception Table to match the Arista Reception Chair. Finish - Beech. Dimensions - H320xW600xD600mm. Non returnable. 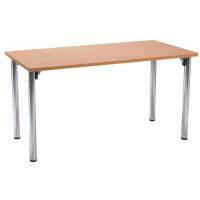 Arista Beech Meeting Table Rectangular 1800mm KF72039 Pack of 1 "Arista Rectangular Boardroom Table. Stylish table, a great addition to any meeting room. Dimensions - W1800xD1000xH730mm. Finish - Beech. Non returnable." Arista 1800mm Rectangular Meeting Table Oak KF72040 Pack of 1 "Arista Rectangular Boardroom Table. Stylish table, a great addition to any meeting room. Dimensions - W1800xD1000xH730mm. Finish - Oak. Non returnable." 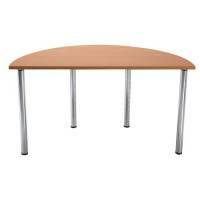 Arista 1800mm Rectangular Meeting Table Maple KF72041 Pack of 1 "Arista Rectangular Boardroom Table. Stylish table, a great addition to any meeting room. Dimensions - W1800xD1000xH730mm. Finish - Maple. Non returnable." 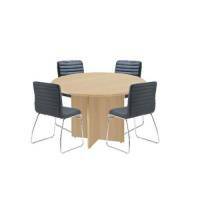 Arista 1200mm Round Meeting Table Beech KF72048 Pack of 1 "Arista Circular Table. 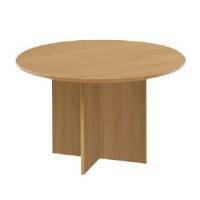 A stylish round table with cruciform base. 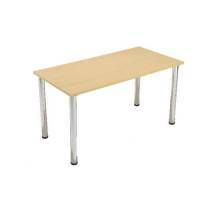 Ideal for use as an informal meeting or breakfast table. Dimensions - Diameter 1200mm, Height 730mm. Finish - Beech. Non returnable." 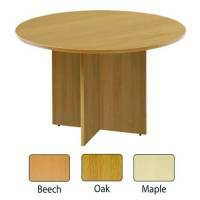 Arista 1200mm Round Meeting Table Oak KF72049 Pack of 1 "Arista Circular Table. A stylish round table with cruciform base. Ideal for use as an informal meeting or breakfast table. Dimensions - Diameter 1200mm, Height 730mm. Finish - Oak. Non returnable." 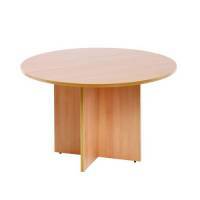 Arista 1200mm Round Meeting Table Maple KF72050 Pack of 1 "Arista Circular Table. A stylish round table with cruciform base. Ideal for use as an informal meeting or breakfast table. Dimensions - Diameter 1200mm, Height 730mm. Finish - Maple. Non returnable." 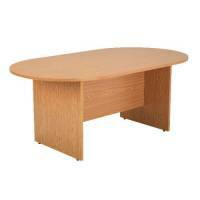 Arista 2400mm Boardroom Table Beech KF838283 Pack of 1 "Arista Boardroom Table. Traditional D-End table, a stylish addition to any boardroom. Dimensions - W2400xD1200xH730mm. Finish - Beech. Non returnable."